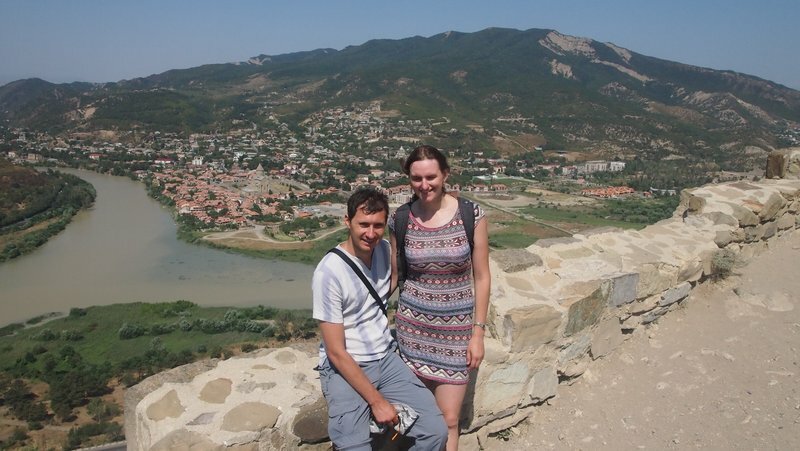 Only showing entries about tbilisi from Roaming the world. 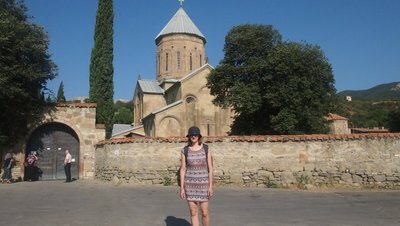 View entries about tbilisi from all Travellerspoint blogs. 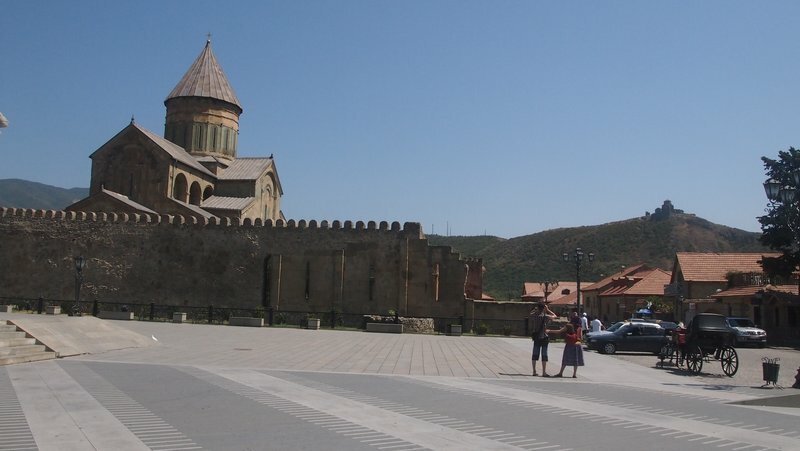 Mtskheta is an ancient town and one of the historical capitals of Georgia, located about 20km out of Tbilisi. 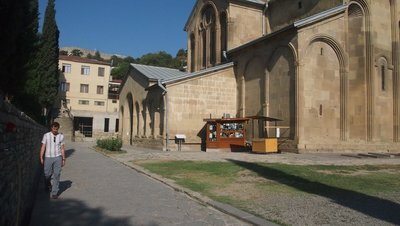 Mtskheta was the place of Georgia's adoption of Christianity in 3rd century AD and still is the headquarters of the Georgian Orthodox Church. It's a both main tourist destination and a christian pilgrimage site. Not many people know, but Georgia was the 2nd country to adopt Christianity. Armenia was the first. You can get a minibus from Dibude bus station, same place that you get a bus to Kazbegi. You will need to get a ticket from a small window at kiosk-like ticket office. The ride takes about 1 hour and costs 1 GEL. Prepare for the minibus to get seriously full. 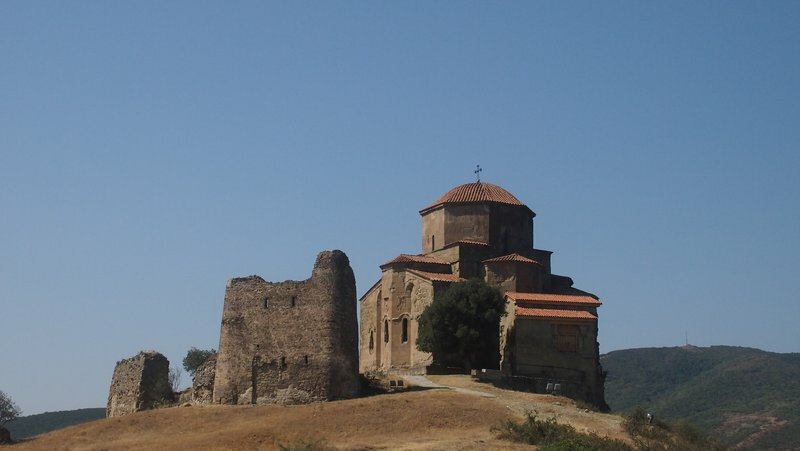 Once you get to Mtskheta prepare to get "templed-out". It's a capital of Georgian Christianity after all. Samtavro (Place of the Ruler). Bebris Tsikhe (The Elder's Fortress). 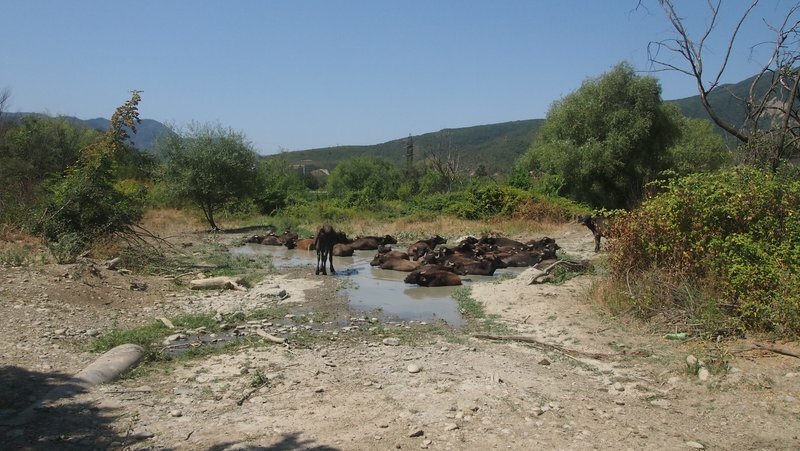 Located further up the main road from Samtavro. We decided to go first towards the Fortress. It was fun climbing the ruins although a bit dangerous in flip flops :-). Than we came down to the river and found a place to cross and found an off road track leading up to the Jvari monastery . It's about 4 km hike, as there are a few trails crisscrossing you have to have your wits about you and check were you turning unless you want to get lost in the middle of Georgian nowhere. We bumped into this pack of hostile bulls or buffalo blocking our pass, when we tried to approach them they would get up and make unfriendly advances at us. We ended up having to bushwhack across nettle field to get around them. Well, I'll take nettle stings over a buffalo headbutt any day of the week. Jvari was a highlight of the day. A great view point over the town and the valley beyond.